Transportation of perishable goods demands use of special transport equipment. 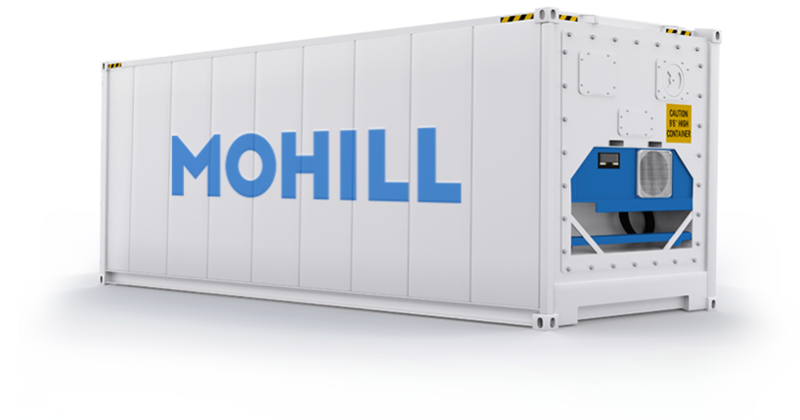 The container refrigerator Reefer allows safely delivering the cargo sensitive to temperature conditions. In most cases Reefers are used for sending on a long distance the most of perishable products, in particular, fishes, meat, sausages, dairy products, confectionery, vegetables and fruit. Perfumery and cosmetic products also demand low temperature during transportation. As a matter of fact the Reefers are no more, than heat-insulating cases mostly made of polyurethane or aluminum. Freezer itself can be mounted both inside and outside container's body.